Paula currently works in IFC Financial Institutions Group (FIG) Advisory as the Senior Lead Risk Management Specialist for East Asia and Pacific, and the Global Co-Head for Credit Risk in the SME Practice Group. 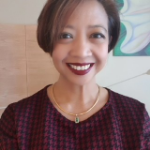 She has engaged with IFC clients and financial institutions in the Philippines, China, Indonesia, Vietnam, Myanmar, Cambodia, Laos, Mongolia and Papua New Guinea. She also leads the Non Performing Loan (NPL) Management Program and participated in the program’s launch in Belgrade, Serbia. Prior to joining IFC in 2009 she was in senior roles in HSBC and Standard Chartered, including member of the Board of Directors HSBC Savings Bank Philippines, member of ALCO, and Head of the following: Commercial Banking, Trade Finance, SME Banking, Retail Collections and Recoveries, and Corporate/Commercial Credit Control (NPL management).